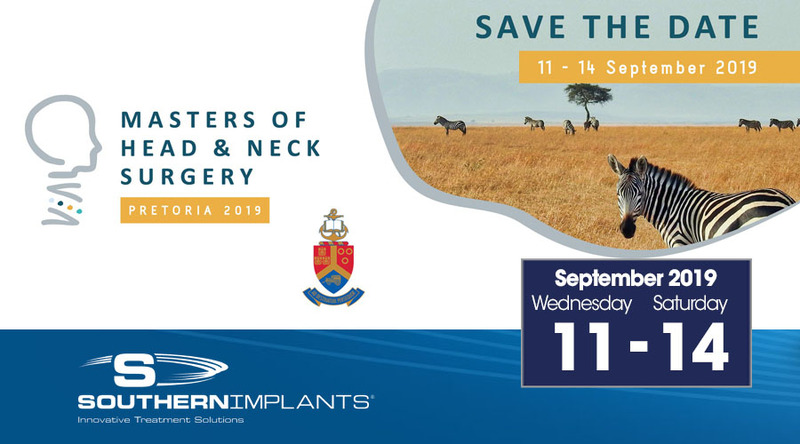 The Masters of Head & Neck Congress will take place in Pretoria and will feature 2 days of intensive lectures, a dissection course as well as a 2 day symposium. PROF JATIN SHAH Elliot W. Strong Chair in Head and Neck Oncology, Professor of Surgery, Memorial Sloan Kettering Cancer Center, New York, NY, USA. PROF PATRICK J. GULLANE University Health Network Toronto Canada, Otolaryngologist-in Chief, Wharton Chair Head and Neck Surgery, Professor and Chair Department of Otolaryngology-Head and Neck Surgery, University of Toronto Professor, Department of Surgery, University of Toronto. JOHANN D KLUGE MBChB MMed (ORL) IFHNOS Fellowship, Consultant Department of General Surgery Head and Neck Oncology Interdisciplinary Team, University of Pretoria, Pretoria, South Africa.